“800 Bullets” - 2002 (Andrés). Mexican film, TV and theater actress Rosenda Monteros died in Mexico City on December 29, 2018. She was 83. Born Rosa Méndez Leza in Vera Cruz, Mexico on August 31, 1935. Known in Mexico mainly for her theater work, in 1990 she received the recognition of the Mexican Association of Theater Critics for the record of 263 theater performances, and in 2003 she won the Best Actress award in Classic Theater of the Golden Age. 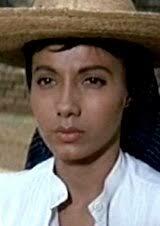 To the rest of the world she’ll be remembered for her role as the Mexican peasant girl, Petra in 1960’s “The Magnificent Seven”. She would go on to appear in 48 films and TV series. She appeared in five westerns: “Villa!” – 1958 (Marianna Villa), “The Magnificent 7” – 1960 (Petra); “Les Indiens” (TV) – 1966 as Wany; “Savage Pampas” – 1966 as Rucu and “My Friend Winnetou” (TV) – 1980 as Hehaka Win. 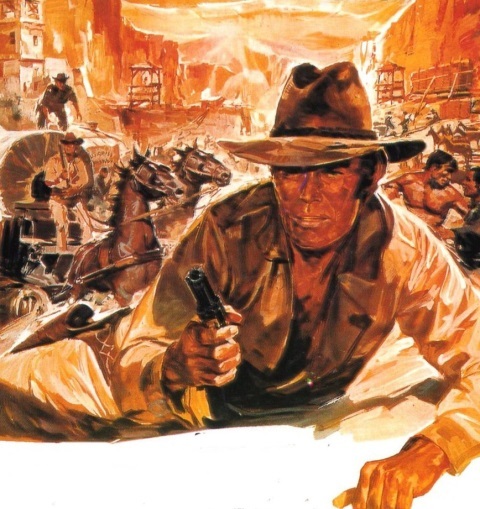 Today marks the 50th Anniversary of one of Enzo Castellari’s most exciting westerns. “Kill Them All and Come Back Alone” is almost nonstop action from the opening credits to the final moments. 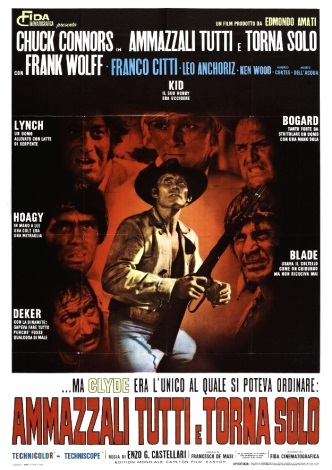 A rousing score by Francisco De Masi adds to the adventure along with a great cast headed by American Chuck Connors and the always devious Frank Wolff. Towards the end of the Civil War, the Southern Command, in a desperate attempt to balance the tide of the war, relies on seven "thugs" charged to seize a cargo of gold powder held in a Yankee prison camp; Clyde, the acknowledged leader of the group, is also ordered to kill his comrades, once the mission is carried out. The band makes it through the enemy lines, and succeeds in seizing the Yankee gold cargo. Clyde tries to escape with the precious booty, but is immediately tracked down by his companions. This begins of a ruthless struggle for the possession of the gold, which also involves Lynch, a treacherous Southern Captain. After being able to eliminate all opponents, even his comrades Clyde double-crosses his superiors by taking the gold for himself. For a New Year’s Eve treat put this DVR in the player and sit back for time of endless action and see what made the genre so unique. 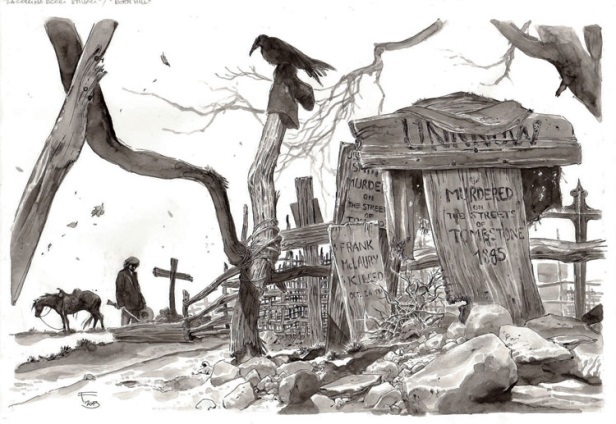 Story: Towards the end of the Civil War, the Southern Command, in a desperate attempt to balance the tide of the war, relies on seven "thugs" charged to seize a cargo of gold powder held in a Yankee prison camp; Clyde, the acknowledged leader of the group, is also ordered to kill his comrades, once the mission is carried out. The band makes it through the enemy lines, and succeeds in seizing the Yankee gold cargo. Clyde tries to escape with the precious booty, but is immediately tracked down by his companions. This begins of a ruthless struggle for the possession of the gold, which also involves Lynch, a treacherous Southern Captain. After being able to eliminate all opponents, even his comrades Clyde double-crosses his superiors by taking the gold for himself. 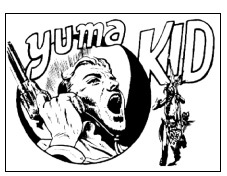 A comic trip series presenting the wetern hero Yuma Kid was created by Gian Luigi Bonelli and designed by Mario Uggeri, except nos. 16 and 18 which were made by Virgilio Muzzi. Number 1 made its debut in POKER Weekly (Audace, 1952) before having its own separate series released. The first year of publication was in 1953 beginning on April 15, 1953 and ending after issue 18 on August 12, 1953. It was published by Audace Publishing in Milan, Italy under the direction of Tea Bonelli and printed by Artegrafica Gandolfi. It consisted of 32 black and white pages with a colored cover. The series was released weekly.